Prithviraj Sukumaran’s directorial new Malayalam offering Lucifer is being released on 28th of March worldwide. Before its release, Mohanlal and Vivek Oberoi starrer has gained good word of mouth from critics and celebs, which has increased the excitement of fans and audience as well. The film has grabbed limelight since its inception also because Prithviraj Sukumaran is not only directing the film but also is playing a small role. Lucifer has created quite a huge excitement among the moviegoers ever since the first trailer of the film was released earlier this month. After watching Lucifer, the very popular Malayalam Site (Kerala Producers) tweeted, “A Feast for the Audiences Who like Mass Entertainers! Brilliant Making From @PrithviOfficial So Many Adrenaline Pumping Scenes Which Fans go Frenzy & The Whole Theatre Erupted🔥🔥 Stephen Nedumbally – The Show Stealer,Ultimate Mass🔥🔥 4/5″. Hisham- Such initial positive reviews for #Lucifer , looks like an Industry hit. 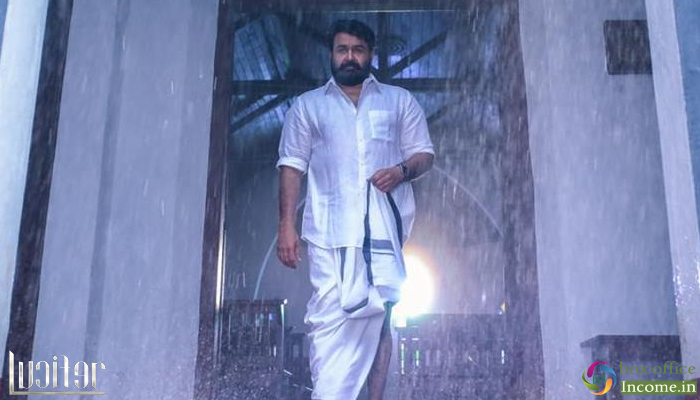 For @Mohanlal , after #Dhrishyam and #PuliMurugan. @PrithviOfficial being compared with Anwar Rasheed as a debutant director giving Industry Hit. Madhura Raja 3rd Day Collection, Passes the Opening Weekend on a Strong Note! Box Office: Madhura Raja 1st Day Collection, Mammootty Starrer Takes Excellent Start!